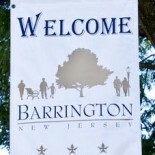 Class assignments for students in the Barrington School District will be available Aug. 25 via the district’s Genesis Parent Portal, according to an email sent to parents today and a notice posted on the district website. The information will not be mailed home this year. The Genesis portal will be used throughout the year to allow parents to view and sign important documents. at sdutkin@barringtonschools.net. School will begin Sept. 8 with a half day. School supplies students should bring can be found here. This entry was posted on August 17, 2015 by Barrington Bulletin in Schools.